Kyoko is a girl who is confined in Furumachi Hospital due to being a victim of the mysterious serial killer. It appears that she was Ayumu's classmate in middle school and also takes a liking to Ayumu, as she often blushes when they speak to each other. In the series so far she is the only survivor of the mysterious serial killings and the only one to have seen the killer. 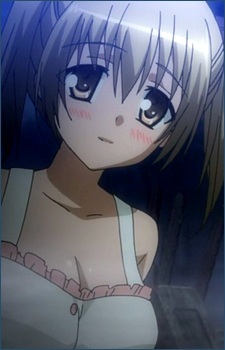 In episode 5, it is revealed that she is the serial killer also responsible for killing Ayumu. In episode 6, she is revealed to be possessed by the King of the Night. In episode 8 of the second season, it is revealed that she fell in love with Ayumu and her sentence is everyone to have no memories of her. However Ayumu promises to remember her, and she promises to believe him as she is taken back to prison.